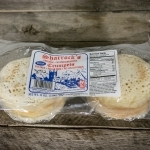 Proper British-style crumpets, just waiting for some hot butter! We've been asked for them for a while, and now we're ready to deliver! 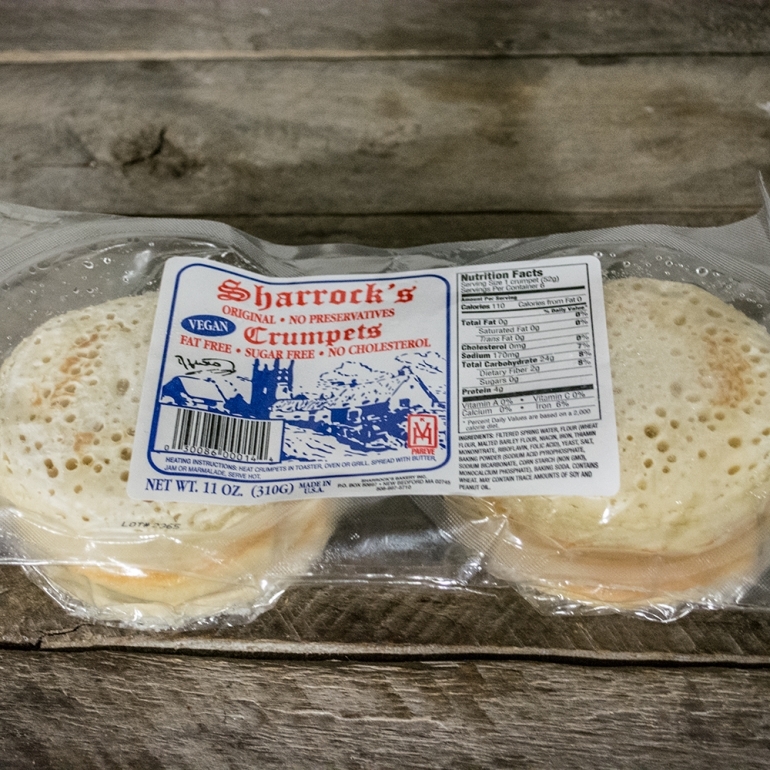 After working with Sharrock's bakery we've secured a means to deliver proper crumpets to the masses! Rejoice! In all seriousness, these are the absolute best available in the United States and we're proud to be able to supply them to you now. Defrost them, stick them in your toaster on a medium-high setting and get the hot butter and jam ready. Breakfast won't be the same! Each pack contains 6 crumpets.